Junwen Dai (Chambers Fellow) is a first year PhD graduate student from the department of Electrical and Computer Engineering, in Professor Qinghuo Liu’s group. 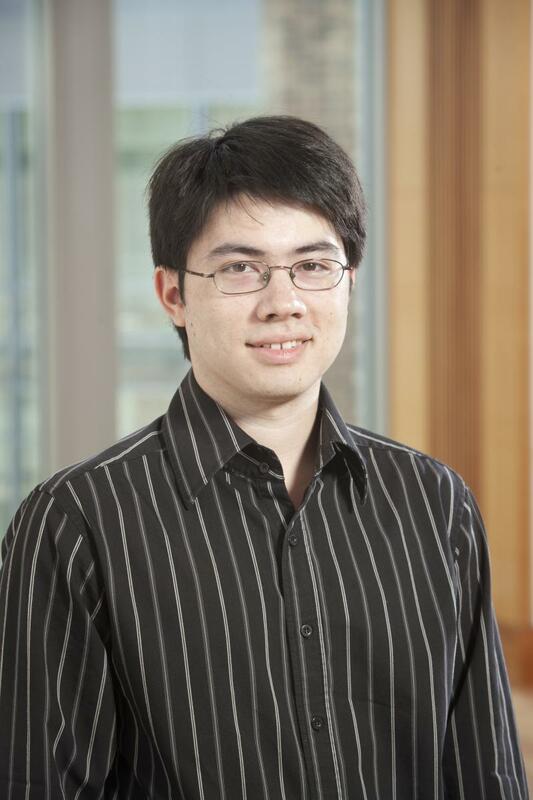 His research interests focus on electromagnetic wave theory, computational electromagnetics and inverse scattering technique which can be applied in target detection. Junwen has obtained master degree from Fudan University in China. His research focus was microwave remote sensing, imaging and target reconstruction techniques. The technology is used in reconnaissance and surveillance of the objects and rescue mission for searching survivors in earthquake or avalanche. He is currently working on developing fast electromagnetic field simulation algorithm to efficiently calculate the electromagnetic field in layered anisotropic media. The developed method is expected to be applied to optical fiber communications, integrated optics and geophysical exploration. He also works towards inverse problem to extract media information and reconstruct targets in complex background especially in oil-field detection. 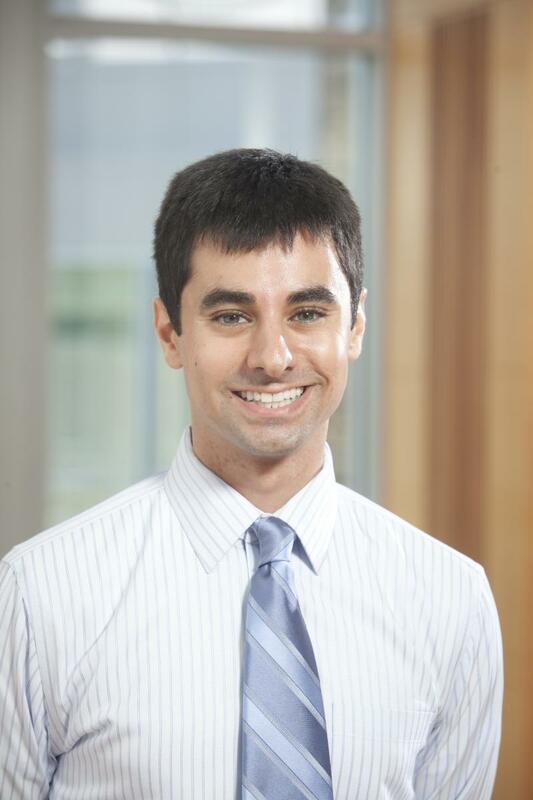 Patrick Gedeon (Chambers Fellow) is an MD/PhD student in the Biomedical Engineering Department at Duke University. Prior to beginning his training as a physician scientist, Patrick graduated with honors from Johns Hopkins University with a bachelor’s degree in neuroscience. At Johns Hopkins, Patrick’s research focused on studying the genetic regulation of neuron regeneration in the olfactory system. Olfactory receptor neurons are unique as they are the only neurons in the central nervous system that regenerate regularly on a large scale basis. By understanding the molecular mechanism by which this occurs, the process may be able to be replicated for the treatment of neurodegenerative diseases. Patrick also has extensive experience conducting computational research. Using supercomputers he performed simulations to understand the mechanism by which monoamine transporters reuptake neurotransmitters. Since dysfunction in this process is associated with conditions including depression, addiction, chronic pain, and Parkinson’s disease, a detailed understanding of how these proteins function allows for rational drug design to improve treatment of these disorders. At the Duke University Biomedical Engineering Department, Patrick is taking part in research aimed at developing novel therapeutic approaches for the treatment of brain cancer. In his future as a physician scientist he plans to take part in translational research directed toward improving the standard of patient care. Francesco LaRocca (Chambers Fellow) is a first year graduate student in the department of biomedical engineering at Duke University under the advisement of Professor Joseph Izatt. He is interested in developing novel technologies for the optical imaging of the human retina and anterior segment. Currently he is designing an optimized, hand-held imaging device that will employ both Confocal Scanning Laser Ophthalmoscopy (CSLO) and Optical Coherence Tomography (OCT) for high resolution imaging of the human retina without the imaging artifacts commonly associated with these technologies. In his preliminary results he has demonstrated a compact CSLO with minimized artifacts due to reflections from the cornea, which are generally orders of magnitude greater than the signal backscattered from the retina. By designing this device, he hopes to develop a means for clinicians to easily image not only conscious, adult patients but unconscious patients and small children as well without sacrificing the resolution and image quality of table-top imaging systems. 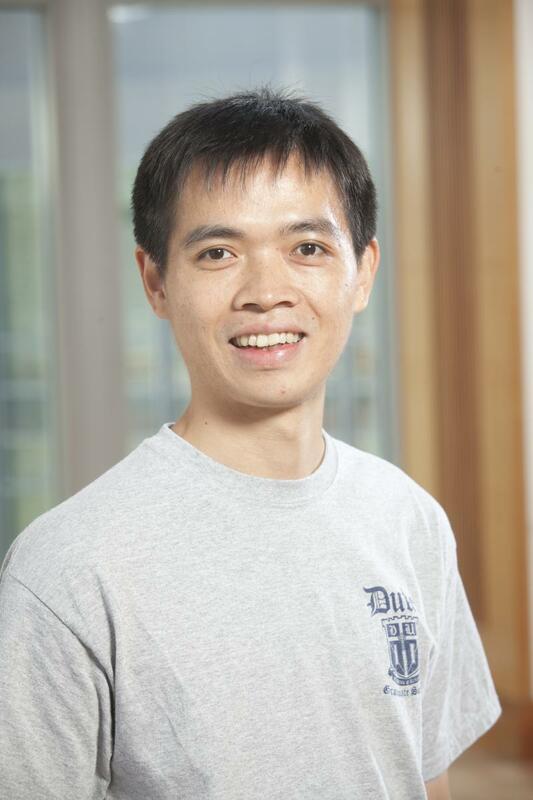 Hoan Thanh Ngo (Chambers Fellow) is a PhD student in the department of Biomedical Engineering at Duke University since August 2011, joining the lab of Dr. Tuan Vo-Dinh. Hoan is from Ho Chi Minh City, Vietnam. He received Bachelor degree in Mechatronics from Ho Chi Minh University of Technology together with a Silver Medal for excellent student in 2006. He then went to Korea Maritime University, Busan, South Korea for a Master’s program in Control and Instrumentation. During his Master’s program, Hoan worked at Intelligent Robot lab of Dr. Yun-Su Ha where he developed a novel tilt and heading estimation system for underwater robot. At the end of year 2008, he returned Vietnam and worked as lecturer at Biomedical Engineering Department of International University, a member of Vietnam National Universities in Ho Chi Minh City. Besides teaching work, he developed a portable respiratory monitor using respiratory inductive plethysmography technique. In June 2011, he received fellowship from Vietnam Education Foundation, an independent U.S. Federal Government agency, to go to Duke University for graduate study. 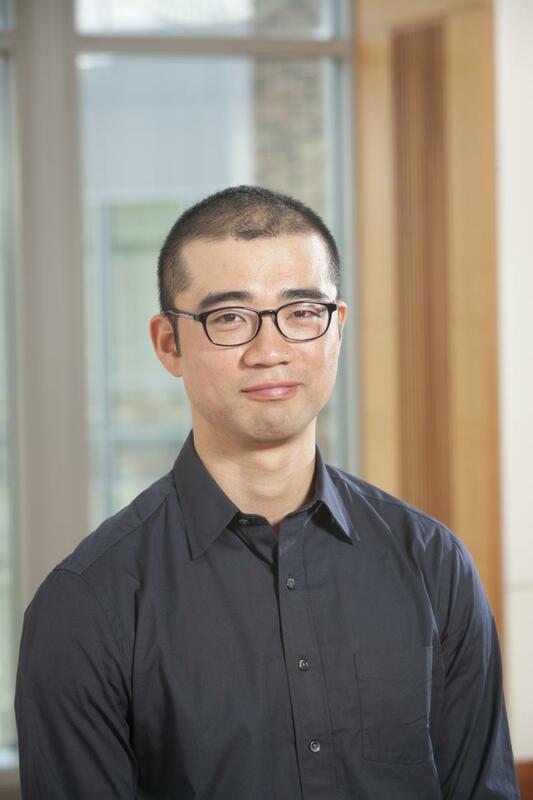 Hoan’s current research involves in developing a new stand-alone and integrated biochip capable of diagnosing infectious diseases at point-of-care settings. Hui Son (Fitzpatrick Scholar) received his B.S. in Mechanical Engineering with a concentration in Fluid Mechanics from Johns Hopkins University. After working as an industrial designer, he returned to academia to obtain an M.S. in Mechanical Engineering and Material Science from Duke University. He is currently working towards his PhD in Electrical and Computer Engineering at Duke, working under Professor Jungsang Kim. 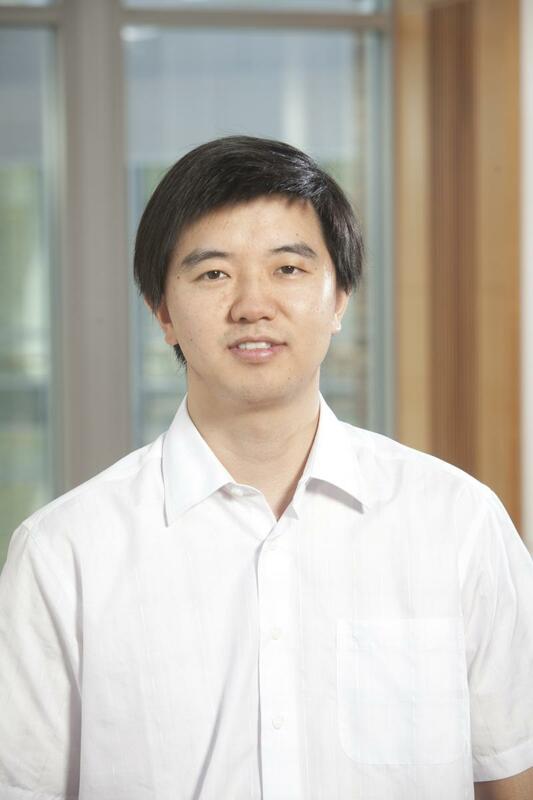 Hui’s main research focus is in optical imaging systems and he is currently working on a collaborative project with Professor David Brady’s group to build Multiscale Gigapixel imaging systems. 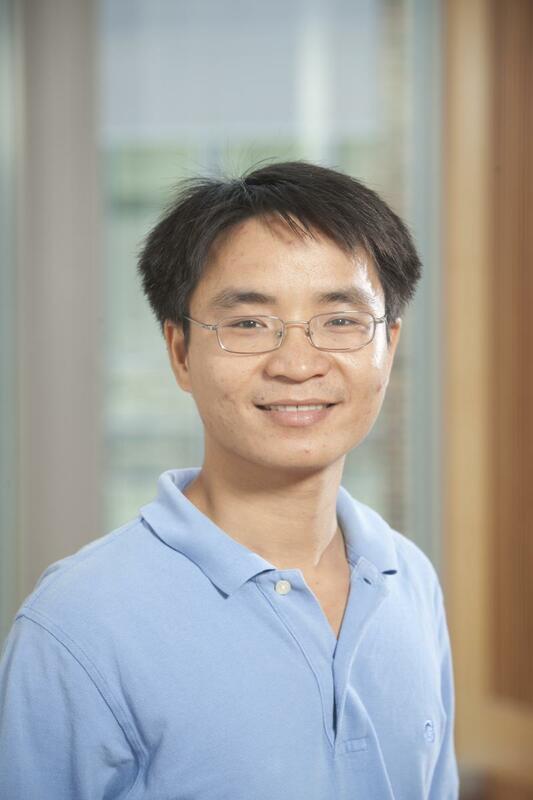 Huaixiu Zheng (Chambers Scholar) is a PhD student in the Physics department of Duke University, working with Prof. Harold Baranger and Prof. Daniel Gauthier. His primary research interest is on a new area of quantum optics, quantum information science and condensed matter physics called “waveguide quantum electrodynamics (QED)”. The idea is to study how photons which are confined in one dimension in a waveguide interact with quantum objects, such as a quantum two-level system which could serve as a quantum bit (qubit) for quantum computation. Better understanding of the interaction between light and matter in the quantum regime is not only important for fundamental scientific interests, but also critical to future quantum information processing, where precise control and manipulation of quantum objects (photons, qubits) are necessary. Currently, the leading technology for quantum information science involves the so-called cavity-QED, in which cavity is a necessary component to boost the light-matter interaction. However, because of the difficulties associated with connecting cavities and managing the losses, it is still challenging to scale the cavity system up to build a large-scale quantum network. The waveguide-QED system is an alternative cavity-free setting which is naturally scalable for quantum information applications. Theoretical investigations have already shown that waveguide-QED system does have the potential to be a promising route to quantum information processing. For example, a one-by-one photon flow through a waveguide-QED system has been theoretically predicted by Huaixiu and collaborators (for details, see the news on Duke Research). The hope is that, using the cavity-free setting, one day, quantum physists and engineering can work together and build an open quantum network, based on which a quantum computer could be constructed for large-scale quantum computation, and a quantum internet could be realized for faithful information processing over long distance.